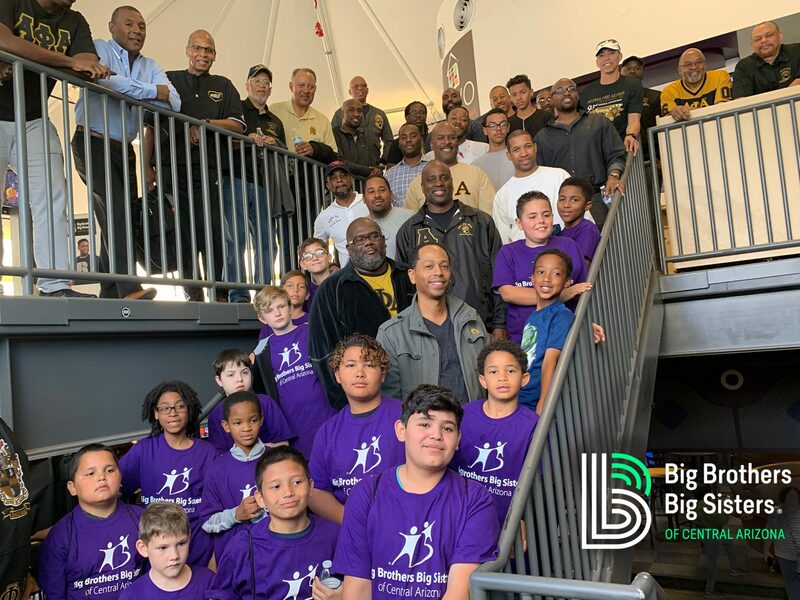 Big Brothers Big Sisters of Central Arizona (BBBSAZ) is very proud of the turn out for our latest ‘Big for a Day’ event which was a collaborative effort with the National fraternity Alpha Phi Alpha (APA) and Grand Canyon University (GCU). On November 17th, over 20 alumni members of APA were matched with boys from the waiting list who live in the west valley. As soon as the pairings began, so did the fun! The new matches enjoyed a pizza party while playing games like giant Jenga, bowling, ping-pong, pool, and foosball. One of the parents in attendance asked “How soon can my son be matched with his Big? He had so much fun today with him!” With such a successful turnout, the Littles and parents weren’t the only ones eager to get matched. Alpha Phi Alpha members were excited to sign up to become Bigs! 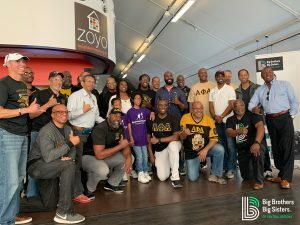 At the close of the event, Alpha Phi Alpha member and former National Big Brother of the Year, Dale Long, gave a remarkable speech on how becoming a Big Brother has impacted his life. 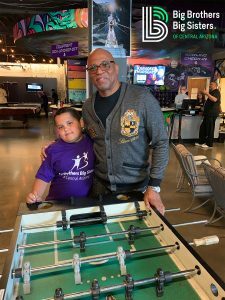 He ended his speech concisely by saying that “In order to be a man, you’ve got to see a man.” BBBSAZ and APA will be working together in the coming months to enroll fraternity members who attended the event with the ultimate goal of matching as many boys as possible. Do you want to make a difference but don’t know how to start? Start by becoming a Big Brother. Be the change in a child’s life so they can change the world. Sign-up today!